Mark the Try Out Dates down!!! Updated Wednesday March 27, 2019 by Christy Centrella. 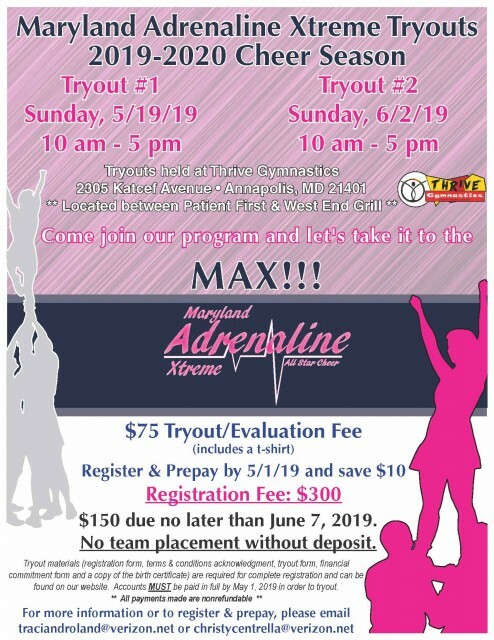 If you are looking for an All Star Program to take your skills to the MAX, come try out for our program!!!! We can't wait to see you there! !